Wedged between the Western Ghats on the East and the Arabian Sea on the West, the narrow strip of land known as Kerala is a destination of a lifetime On arrival immediate transfer to Wayanad. Wayanad the green paradise is nestled among the mountains of the Western Ghats, forming the border world of the greener part of Kerala. Clean and pristine, enchanting and hypnotizing, this land is filled with history and culture Arrival & check in .Time free for relaxation. Today cover local sight seeing Wayanad which covers View points : Pookot Lake – It is a natural fresh water lake, brimmed with ever green mountains. There is an aquarium and a green house here. Boating facilities are also available, Lakkidi – One of the highest locations in Wayanad, Lakkidi also commands a picturesque scenery. 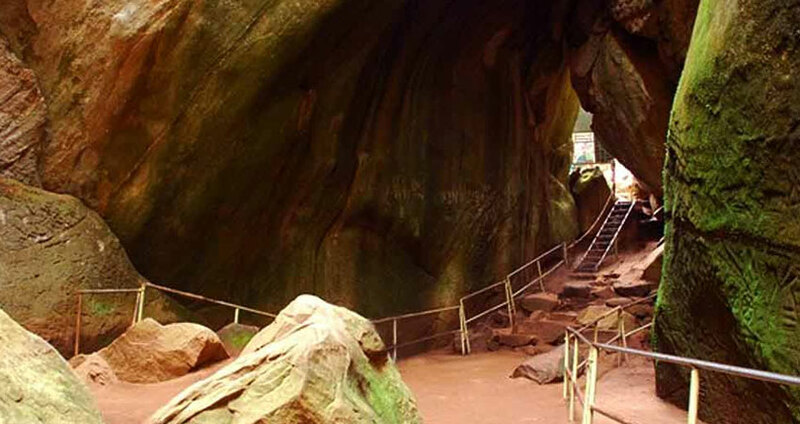 The 12 kms.long journey from Adivaram to Lakkidi through ghat road with nine hairpin bends amidst thick forests, is a fascinating experience., Edakkal Caves – it is only ‘a cleft about 96 ft. long and 22 ft. wide in the rock’. It is a fissure made by a corner of rock splitting off from the main body due to some natural causes. The depth of both the cleft and the fissure is 30 ft. What makes it a cave to the ordinary observer is the fact that in the other portion of the large cleft, an enormous rock, weighing several tonns, has fallen forming a roof over a large part of it. Soochippara Waterfall – The stretches of waterfalls ranging at places from 100 to 300 feet height are a treat to the eyes. The pool below provides for water rafting, swimming, bathing, etc. The tree top huts at Soochippara give a unique view of the valleys of the Western Ghats and the glimmering shallow waters of the surrounding spring. Temples & Tea gardens, etc. Check out & depart for Kabini. Arrival & check in. Time free for relaxation. Kabini the most famous wildlife destination located at Karnataka. 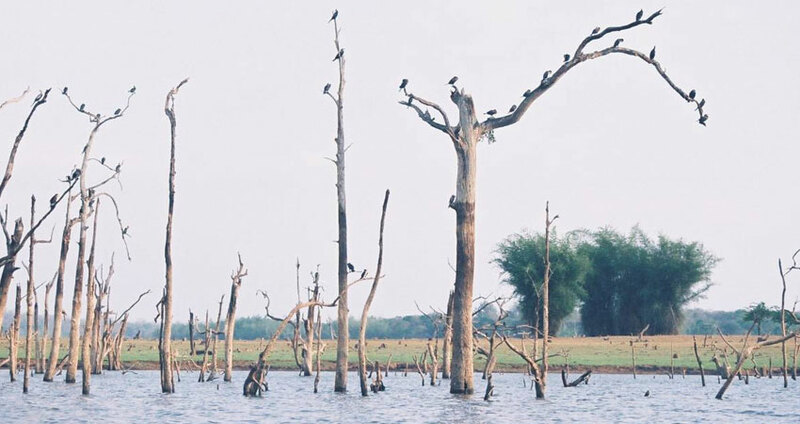 Kabini is actually a river flowing through 3 national parks viz, Bandipur, Nagorhole and Madhumati. After breakfast, Visit Rajiv Gandhi National Park ,The nature in Kabini has blessed with all its wealth and offerings. Behind the background music of flowing river water you can take a jeep safari to experience thrilling suspense in seeing wild animals around you at any moment. Optional Activities at Kabini: Jeep or Boat Safari into Nagarhole Sanctuary, boating, coracle ride, elephant ride, tribal village visit, trekking and fishing. Evening free for relaxation. Morning check out & depart for Coorg. Enroute Visit Dubare Elephant Camp – This is mainly an elephant capturing and training camp of the Forest Department, at the edge of Dubare forest, on the bank of river Kaveri, on the Kushalnagar – Siddapur road. The largest land animal is captured here with the help of tamed elephants and local tribals – the Kurbas – and is held captive for upto 6 months in large teak wood cages & Bylakuppe – Bylakuppe in Kodagu ( Coorg ) of Karnataka is one of the many Tibetan settlements in India. To be precise, this was the first such refugee settlement established way back in. Arrival at check in to Hotel. After Breakfast move to visit the sightseeing around Medikeri including Abbey Falls – Abbey Falls, 8 km from Madikeri. The roar of the falls can be heard from the main road, from where a path goes through lovely coffee and cardamom plantations right up to them. The chirping of innumerable birds which are easier heard then seen, fill the air with sweet music, Omkareshwar Temple – Located at the heart of the Town, Omkareshwara temple was built by king Lingarajendra in 1820. The temple has both Islamic and Gothic styles of architecture. He brought a Shivalinga from Kashi, and the temple was built . Museum, Raja’s Seat – This is a small square in brick and mortar of four pillars bridged by arches, enhanced by beautiful surroundings. This spot was a favorite place of recreation for the Rajas and hence was permanently associated with them. It is built on a high level ground with a commanding view of the cliffs and valleys to the west..Medikeri Fort – This fort was first built by Mudduraja in the last quarter of the 17th century. He also built a palace inside the fort. There is a famous Lord Ganesha temple known as “Kote ganapathi” just at the main entrance of the fort. After Breakfast Enjoy some of the Optional Activities . Coorg is an ideal place for outdoor activities, food and shopping. Trekking: Coorg has many verdant trekking routes in the midst of forests and hills. Golf: Avid golfers can tee off at the 9-hole course of Virajpet. Angling: Valanoor is the backwater of the river Cauvery & angling can be enjoyed here. White Water Rafting: There are few good camps around Coorg that offer rafting down the Cauvery river. Shopping: Some of the popular items to buy are coffee, honey, spices, cardamom, pepper, pineapple papads and oranges ( season). Coorgi silk saree are also very famous and they have a different style of wearing them. Morning check out & depart to Mangalore/Bangalore to board your train/flight to further destination.